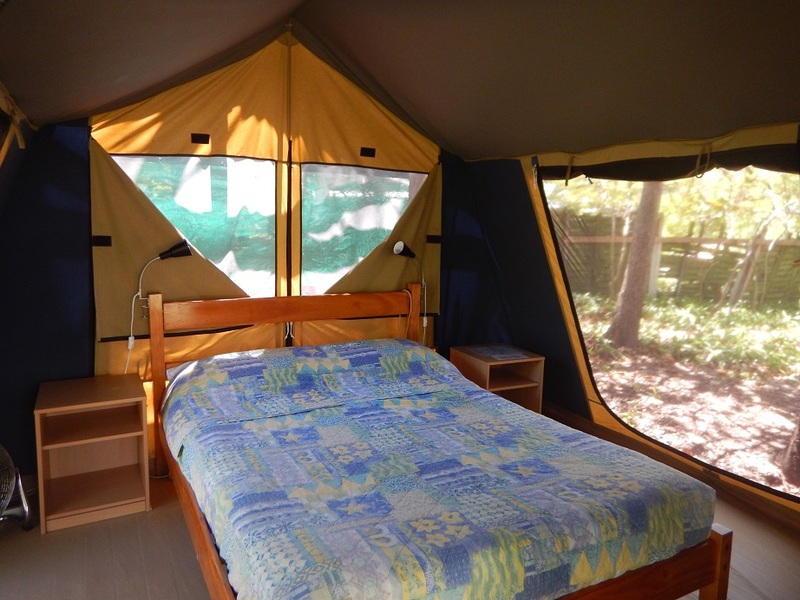 2 Guests	1 Double OR 2 Singles	12 sq.m. 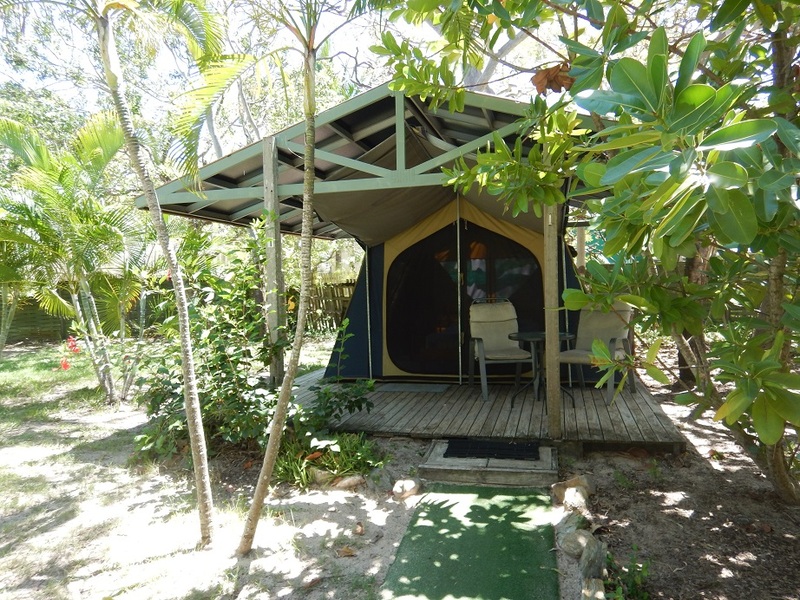 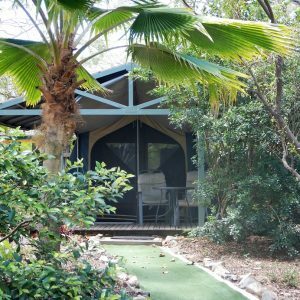 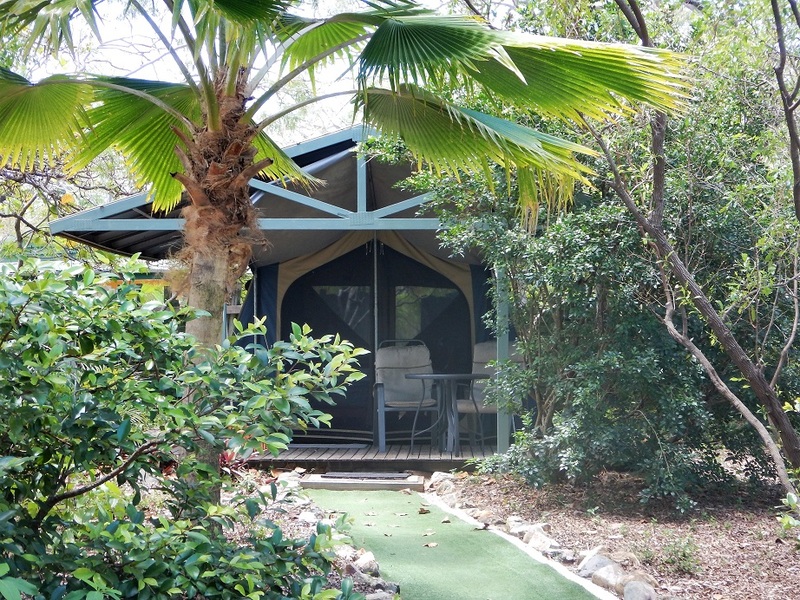 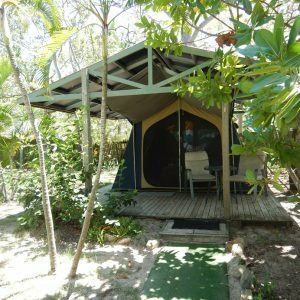 Our glamping tents are large, fully screened canvas tents erected on wooden decks set among the gum trees. 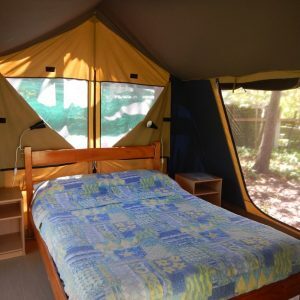 They have some of the comforts of home with a double bed or 2 single beds, white steamed linen, lights, fans, and a small deck with comfortable outdoor furniture.